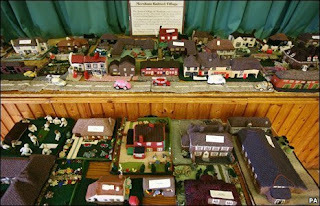 Look at what the tiny village of Mersham (in the UK) has been up to! 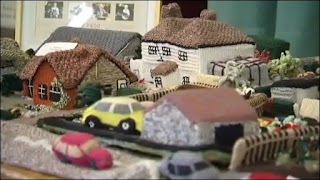 A group of women belonging to a group called the Afternoon Club, have spent the last 23 years knitting a replica of their village! An article can be found here. The article has more pictures of the town. 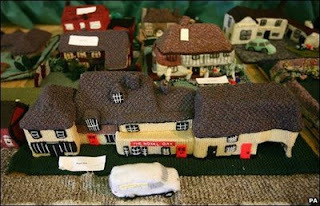 There are even pictures of the actual houses/businesses and the knitted version. The article also shows a picture of some of the women responsible for this project. Very ambitious, but very much worth it to these ladies. Kudos to them! I'm not about to go and knit a replica of Purdue University campus anytime soon (although that would be cool)... but this is Knitspirational indeed! Cool - they did a beautiful job!